Born from a passion for Spanish food and culture, La Boca is a small, family run café bar and charcuteria. 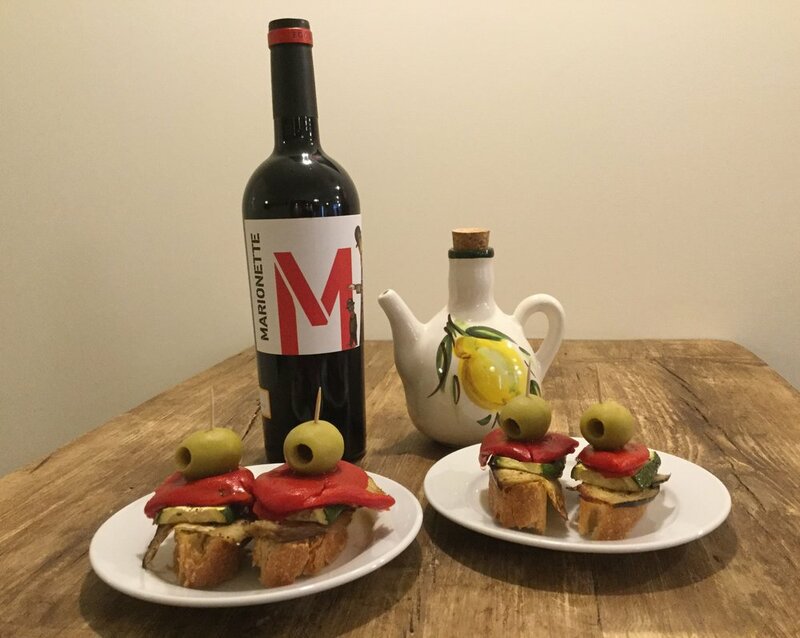 We specialise in Iberico Bellota cured meats and Jamon Iberico de Bellota, cheese and simple slowed cooked typical dishes to enjoy in our cozy space or alternatively to take home. 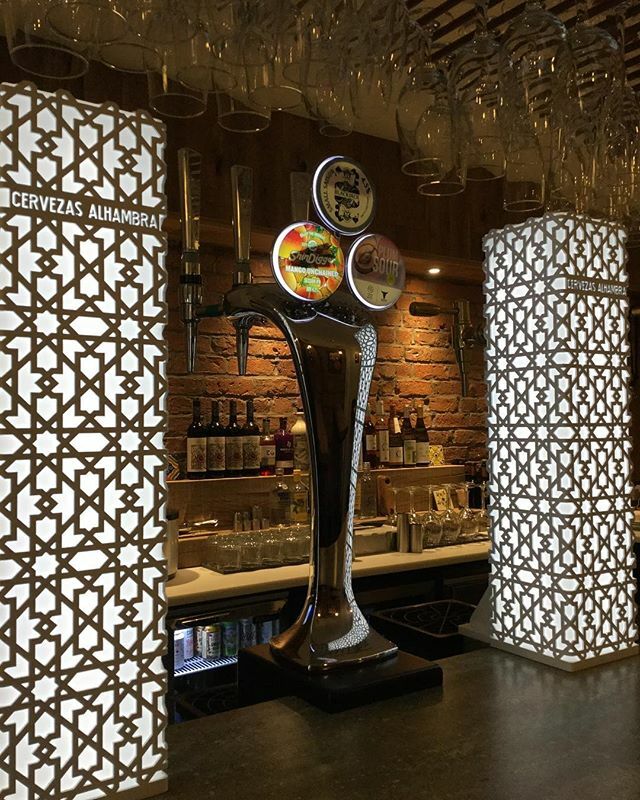 Our casual space is the perfect venue for your celebration, we seat 40 comfortably for private hire or reserve our family table for eight. The space lends itself for pairing ham events, follow us on twitter for future information. 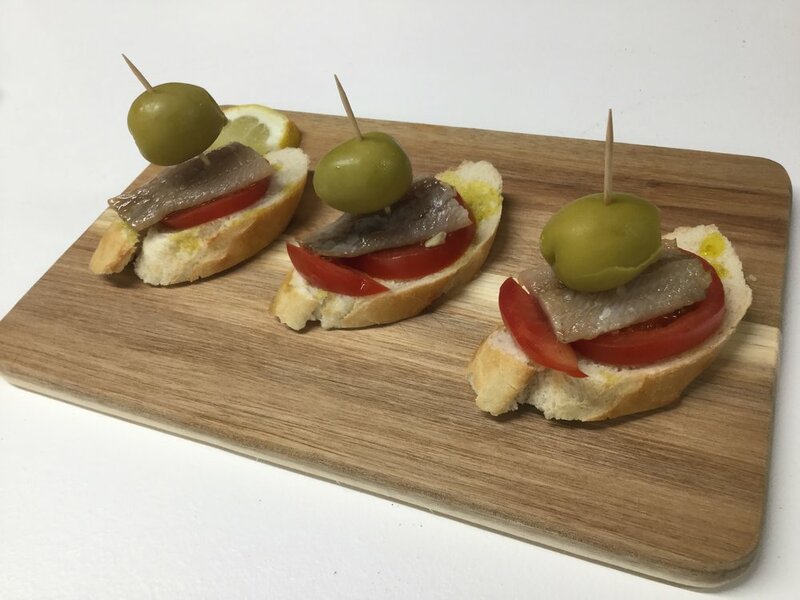 Our casual, back street charcuteria is the perfect meeting point to have an aperitivo or enjoy a relaxed evening with a tapa or pintxo. Our team aims to offer a great experience, warm welcome and the best possible and informal service. Award winning fully cured manchego, the most delicious nutty flavour, Picos de Europa bluc cheese, queso de Mahon semicured, aged for 3 months, this milky buttery texture has hints of sun-dried fruit. 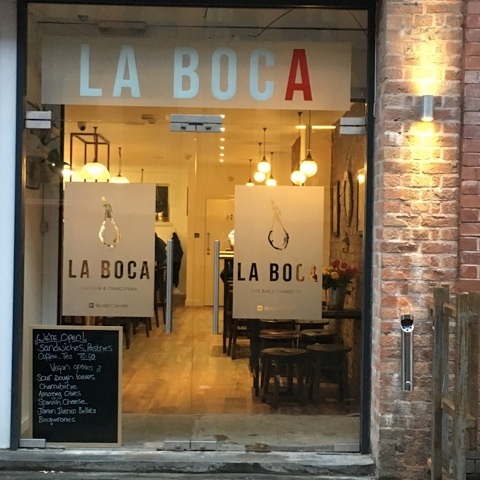 La Boca is an ideal fun environment for groups looking to chat to like minded people in Spanish or English to improve their language skills, whilst, enjoying a beer and a tapa. 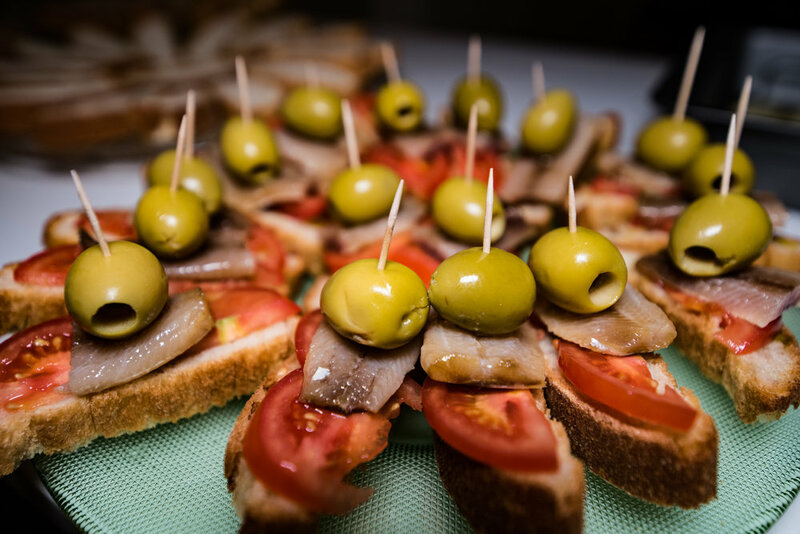 These events consist of our owner James hand picking jamon and cured meats that pair with specific local beers and spanish wines. Please register your information so we can keep you updated of these events. We hope to open our basement bodega for groups to survey and purchase our special, seasonal produce. 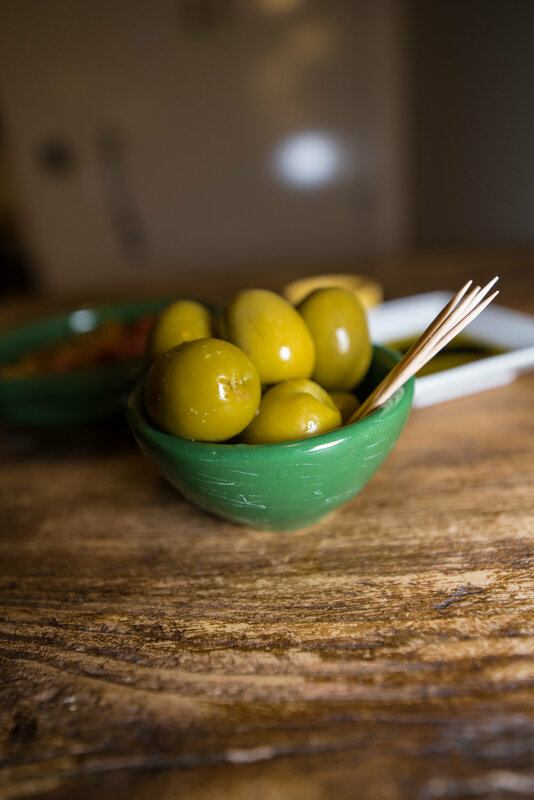 However, for now we sell a mix of produce such as fine oils, vinegars, olives, charcuterie and hand carved jamon to take home. 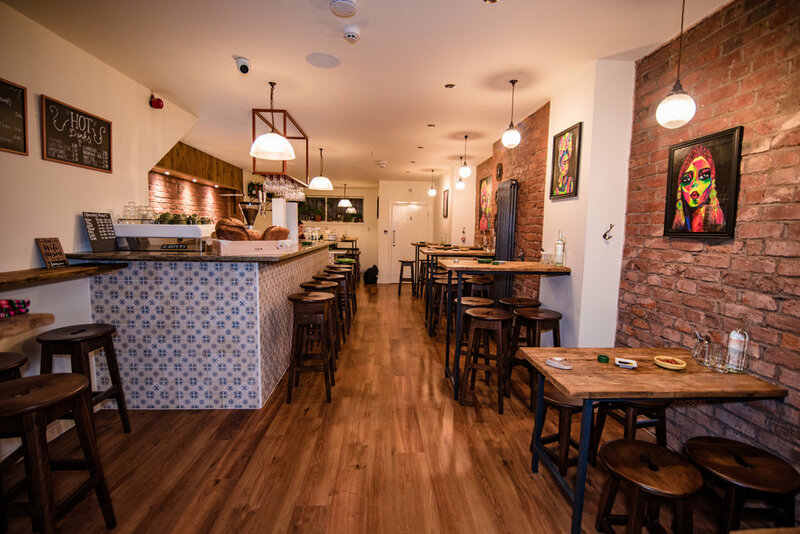 If you want to reserve our family table (that seats 8), find out what is coming soon or simply know more about La Boca, drop us an email and we will be delighted to attend you.